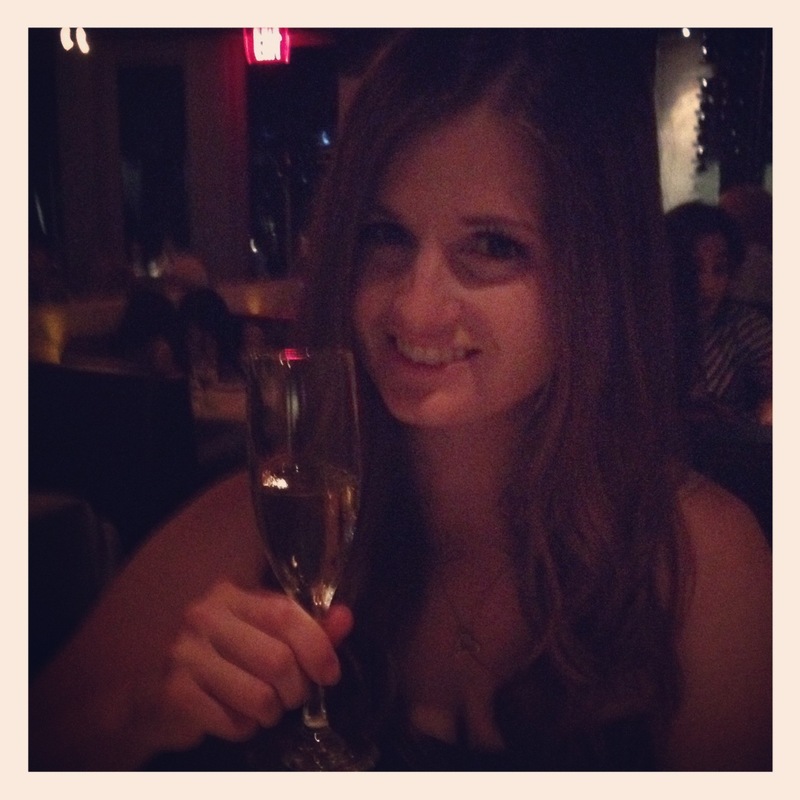 Date Night at Eddie V’s | how 'bout some cake? Last night Jason and I headed up to La Jolla for date night. Jason had been out of town for a while, so we wanted to reconnect and celebrate a victory I had at work this week. We called around Downtown in search of a 7:30 reservation, but there were none to be had. It seems that everyone in town for Comic Con was a lot more pro-active on the reservation front than we were. So Jason got on Yelp and found Eddie V’s in La Jolla. For the third time since we’ve lived in San Diego, we actually got in the car and drove somewhere for dinner. It took us about 15 minutes to arrive in La Jolla, which is a lovely upscale community North of Downtown San Diego. It was worth the drive. Eddie V’s is a beautiful, sophisticated restaurant that sits right on the water. Unfortunately it was well past dark when we arrived; I’m sure they have lovely sunset views. We toasted to being together again, and enjoyed each other’s company over a long and leisurely meal. 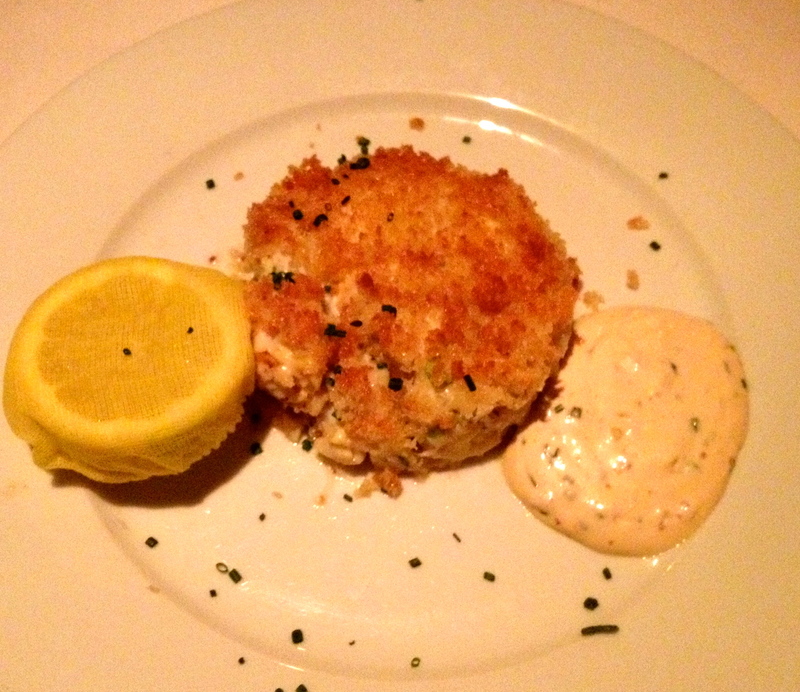 We started off sharing a crab cake, which is a mutual favorite of ours. It was fantastic. Nothing but big lumps of flavorful crab. I don’t even know how it stayed together on the plate; once I stuck my fork in it shattered into clumps. 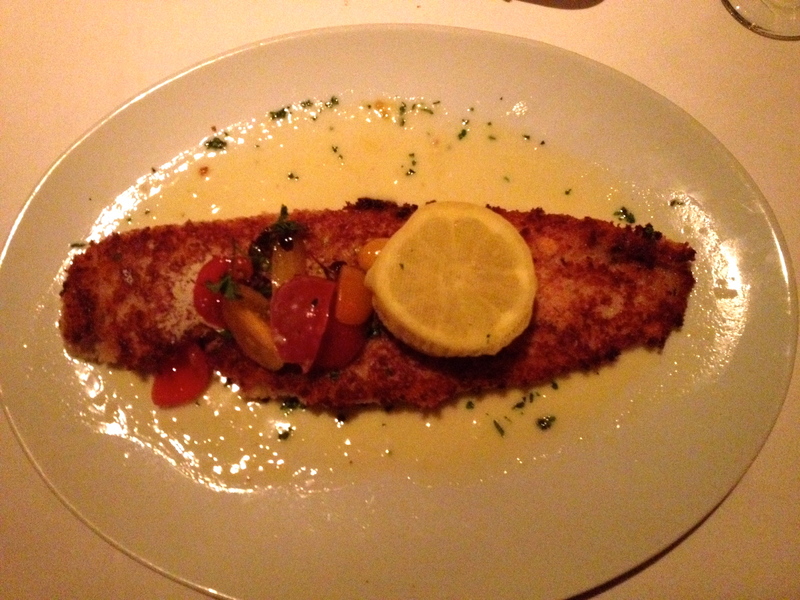 For our main course, Jason ordered the Swordfish and I ordered Sole. 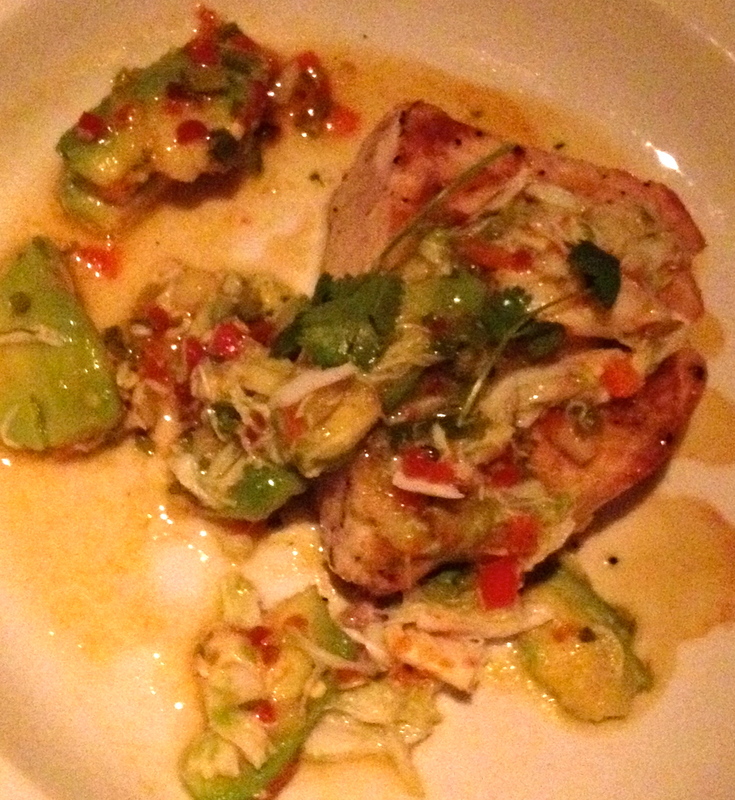 Jason’s was “one of the best Entrées he’s ever had”. Mine was fabulous as well. Not much in the looks department, the flavor more than compensated. Our tummies were too full for dessert, but next time I’ll definitely be sure to save room for the Godiva Chocolate Cake. If you’re ever in the San Diego area and looking for a nice meal, I’d recommend Eddie V’s. It’s just as good for a group as it is for a date. My one word of advice: make reservations. The dining room was still quite busy at 10:00. This entry was posted in Food & Recipes, Travel, Uncategorized and tagged California Restaurant, Date Night, Eddie V's, La Jolla, restaurant review, San diego, Seafood Restaurant. Bookmark the permalink.